What is a person to do when they can’t swing 50 G’s on a new convertible, but still want to have some fun in the sun? 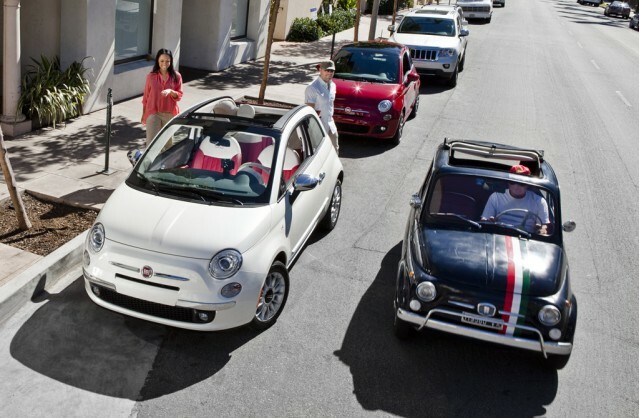 The answer is coming in later this spring when the Fiat 500 Cabrio or Fiat 500C hits the showrooms. Who can resist a cute Italian? Especially one that will only set you back $20K. Yes, you read that right, the 2012 Fiat 500C Pop—the entry-level model—will start at $20,000; that price also includes the $500 shipping charge. 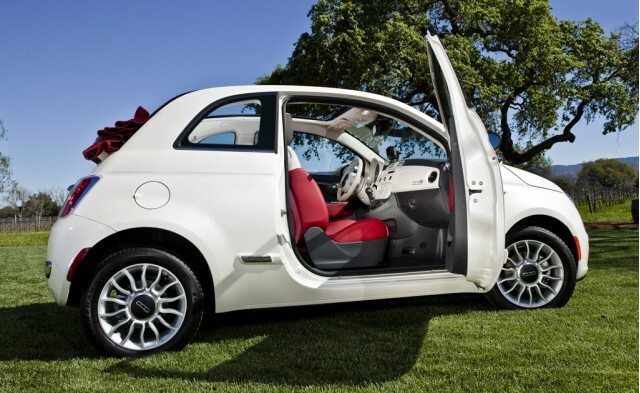 For those looking for a little more Ritz with their open air motoring, Fiat still has a car for you in the 2012 Fiat 500C Lounge. A fully loaded Lounge will thin the wallet a bit more with the expected premium ringing in at about $26K. However, you can swing something in the middle with the Lounge starting price of $24,000 (also including shipping). For those of you eyeing the British competition, the MINI Cooper convertible will set you back a minimum of $25,550 with its higher starting MSRP. So what do you get for $26K in the 500C Lounge? Options include a $1,250 Bose premium audio system, full-size spare tire, body-style decal of the Italian flag, chrome exterior accents, 15-inch alloy wheels, automatic climate control and an automatic transmission. Talk about romance, right? This could be love at first site, but don’t let us convince you. Instead take a journey over to the 500C configurator at Fiat USA, there you might find the something completely irresistible. Bottom line—Italy is bringing the affordable top down motoring to the U.S. this spring. The only question is, will you park one in your driveway? Be sure to check us out on Twitter via our handle @allsmallcars.